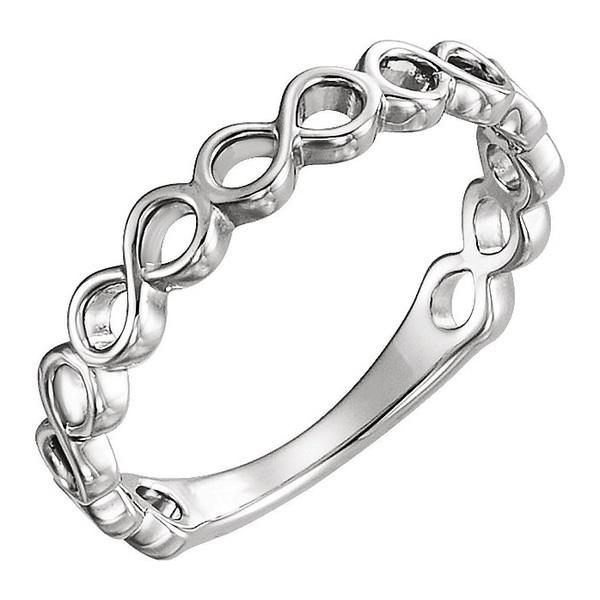 Remind her that your love for her is infinite with this infinity inspired band in 14K white gold from Apples of Gold Jewelry! The 3.5mm wide white gold band is a regular flat band in the back, but around the front and sides is a continuing infinity symbol pattern. The infinity symbols are of cut out design, allowing you to see in between the metal of the ring. This beautiful band is great to wear to add a little extra gleam to your day! We guarantee our Infinity Inspired Band in 14K White Gold to be high quality, authentic jewelry, as described above.